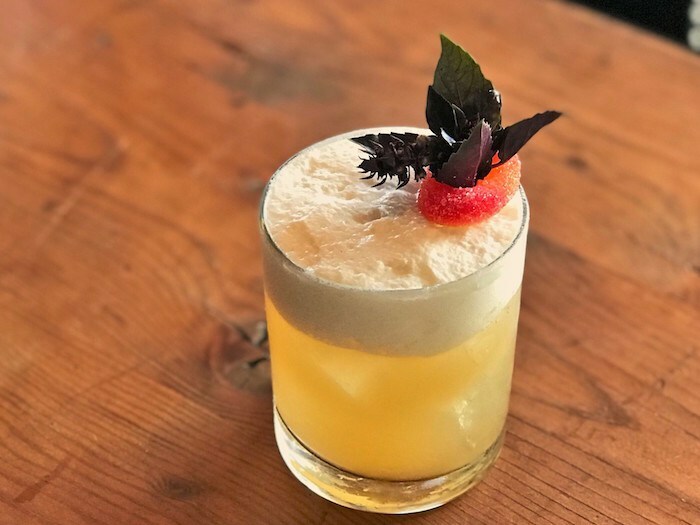 Here are some of the zesty new cocktails from Finch & Fork, courtesy photo. Finch & Fork‘s Lead Bartender George Piperis has some lovely new additions to the cocktail menu this summer. Try their Dill Berrymore, a bright, balanced drink with Toki Japanese Whiskey, Lustau Oloroso Sherry, strawberry, dill and lemon. Also new to the menu is Papa Don’t Peach, a blend of Highwest Double Rye, Amaro Montenegro, peach, purple basil and a coconut foam float. Remembering Monica is a great warm weather choice, made with Herradura Reposado Tequila, hibiscus, grapefruit and lime. 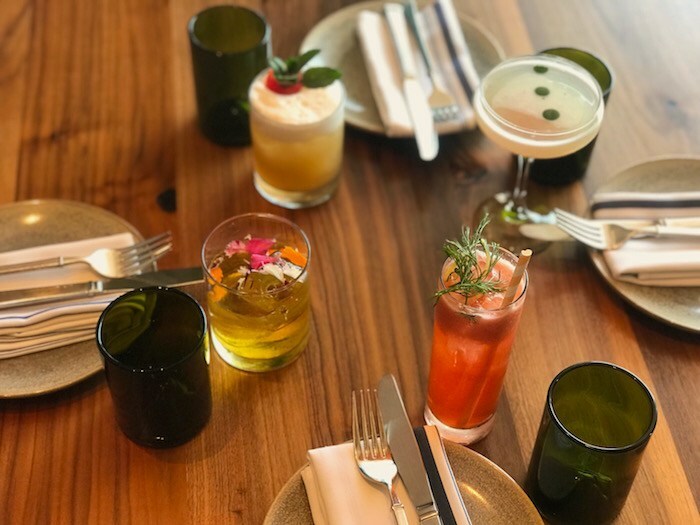 Piperis even has an no-octane option for the designated drivers among us: the Seedlip Laura with Seedlip distilled non-alcoholic spirit, thai chili, butterfly pea blossom tea, lemon and ginger—an excellent, refreshing choice. Finch & Fork’s Papa Don’t Peach blends highwest double rye, montenegro, peach, purple basil and a coconut foam float. Courtesy photo. Don’t miss the happy hour weekdays from 4-7 p.m. with special prices on wine, beer and selected cocktails, as well as some of our favorite bar bites like their deviled eggs made with smoked trout, sliders with bacon and fig jam and aged cheddar, and chipotle smoked hummus with yummy grilled bread. Finch & Fork is located at 31 W. Carrillo St., Santa Barbara in the Kimpton Canary Hotel. 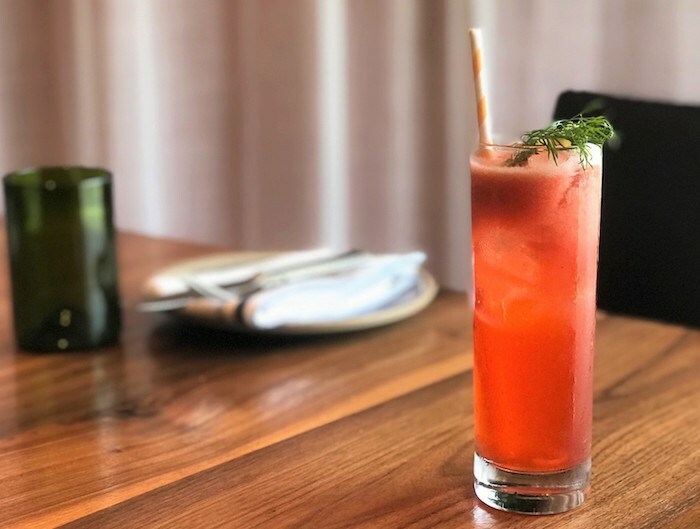 Finch & Fork’s Dill Berrymore is a bright, balanced drink with toki japanese whiskey, lustau oloroso sherry, strawberry, dill and lemon. Courtesy photo. Originally published in Santa Barbara Seasons on August 24, 2018.